Steve Bannon, former White House chief strategist and chairman of Breitbart News, attends a discussion on countering violent extremism in the Middle East on October 23, 2017 in Washington, D.C.
President Trump broke ties with Bannon last week, after Michael Wolff’s “Fire and Fury” quoted Bannon discussing Donald Trump Jr. in an unfavorable light. Then one of Bannon’s biggest donors, Rebekah Mercer, decided to pull her financial support. Now, as Bannon steps down from the nationalist, far-right publication that he helped steer to infamy, we look back at the history of the outlet. 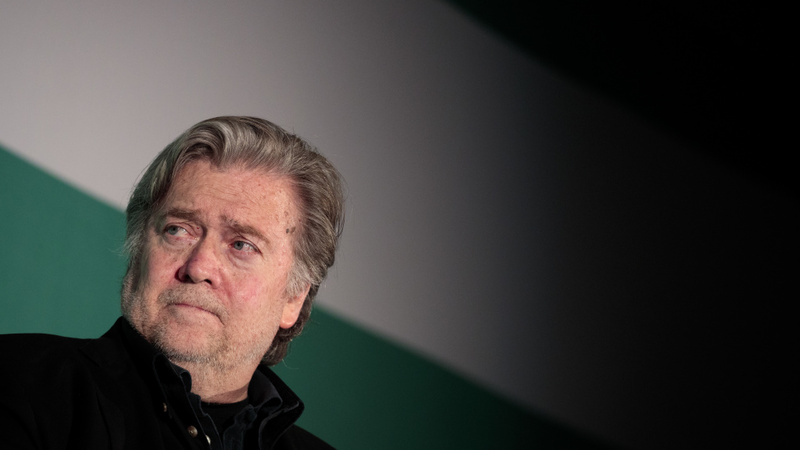 Breitbart was started by Andrew Breitbart as a conservative site in 2007, changing direction after his death in 2012 and ultimately hitching itself to the Trump candidacy, which it rode into mainstream notoriety, under Bannon. What is the history of the publication? What role did Bannon play at the helm of the publication? And how will his departure impact its future?